Former Liverpool midfielder Charlie Adams believes the current Liverpool squad are only one or two recruits away from have a team capable of winning the Premier League. Speaking to BBC radio 5, the Scottish international believes Jurgan Klopp has done some fantastic business over the past 12 months, especially with the funds raised by the £142m sale of Philippe Coutinho in January. “Liverpool have done excellent business so far,” Liverpool are one or two players from the title, he [Klopp] has added quality to the squad, I still think they could do with another centre-half. 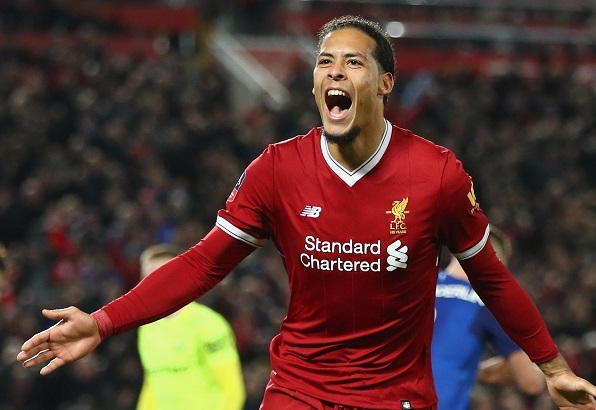 Klopp was quick to use the funds from selling Coutinho to purchase Dutch international defender Virgil van Dijk back in January from Southhampton and has since brought in Guinea midfielder Naby Keita from RB Leipzig for a fee around the £50m mark, while Brazilian midfielder Fabinho has moved to Merseyside for £40m from French side Monaco and Switzerland international Xherdan Shaqiri didn’t travel to far in his £13m transfer from fellow Premier league side Stoke City. However possible the most important purchase and hopefully for Klopp a solution to his sides current goal keeping crisis was last weeks purchase of Brazilian international keeper Alisson from Italian side Roma for a world record fee of £66.8m, making him the most expensive keeper on record. Liverpool break club transfer record! Liverpool and Man City keep hold of 3rd and 4th spot. Coutinho out as Liverpool return to European football. Liverpool smash Newcastle to go 7 points clear at the top. Liverpool thrash an inexperinced Manchester United to finish of their USA summer tour.